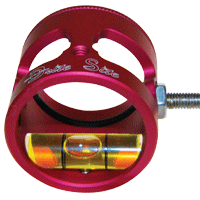 Home :: Scope Housings :: X-Calibur Scope Housings :: X-Calibur-1 3/8"
an aluminum screw in lens retainer. Accepts optional Fire Pin in up, down and side positions. Available in silver, black or red anodize. Left or right handed. 1 3/8" lens diameter.